Is the entry to the competition free? Yes it is. The TRT International Documentary Film Competition is open to all documentary film-makers who are eligible to enter the competition. Participation is free. Is to be awarded previously an obstacle to enter the competition? 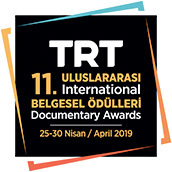 Excluding the TRT Documentary Film Competition, documentary films which previously entered national or international competitions and received an award can enter this competition. It is not an obstacle for this competition. Is it possible to enter the competition with more than one documentary? Yes it is. Participants may enter this competition with more than one documentary film. Documentaries produced as a “series” or a “serial” may also enter this competition with at most one episode that has entirety. Can non-Turkish citizens enter the National Category of the Competition? Directors of Documentary films who participate in the competition in the National Category are required to be Turkish Citizens. What kind of productions shall be accepted to enter the competition? Only documentary films may enter the competition. Works produced such as TV programs, promotional films, etc., which do not have any artistic aim and films which cannot be evaluated as being within the concept of the art of the cinema shall not be accepted in the competition. Films which are completely fictional, experimental or of the animated genre etc., and have documentary elements in it just to support the expression can not enter the competition; however, documentary films such as dramatic documentaries and docu-dramas which have fictional, experimental or animated elements in it just to support the expression may enter the competition. Is there any limitation regarding the production date of the production? Only documentaries produced after January 01, 2008 may enter the competition. Is there any limitation regarding the production format of the production? Only documentaries complying with the technical format of TV broadcasting ( prints, HD, Digital Betacam, Betacam SP, DV etc. ) may enter the competition. Is it an obstacle to enter the competition if the documentary film’s TV rights are not free for Turkey?